Zetica’s UXO desk study & risk assessments exceed the requirements of industry guidance and also outstrip those offered by other specialists in many ways. We have developed an enviable reputation for providing assessments based on thorough research and objectivity. We strive to really understand the UXO hazard for a site so that we can avoid recommending extensive and potentially unnecessary risk mitigation work. As such, one of our desk studies can really reduce costs for your site. How many sites have you undertaken UXO surveys for? How often have you encountered UXO? Our aim is to provide you with an objective and pragmatic risk assessment specific to your site and the works you are planning to undertake. It may be the case that even where a potential UXO hazard is identified, the risk to your works is low and therefore extensive proactive risk mitigation is not required. A detailed risk assessment allows for a clearly-defined risk mitigation strategy to be put in place. This can be adapted to suit your risk tolerance, timetable and budget. 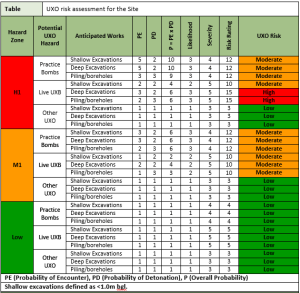 A key deliverable of a detailed desk study & risk assessment is the ability to zone the UXO hazard level. This may not always be possible, but routinely providing a site-wide ‘blanket’ hazard assessment is not acceptable and only creates unnecessary risk mitigation costs. It may take us a little longer but we will (often at our own expense) go that extra mile to provide as detailed a hazard zoning as we can. 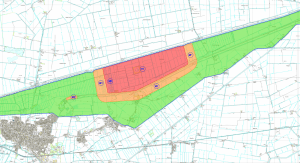 Our hazard plans can be provided as a CAD/GIS compatible drawing so that you can overlay this onto your proposed work areas. Each hazard zone will detail the potential type of UXO to be encountered and at what depth. This will help inform proposed construction techniques and allow you to select the appropriate mitigation for your planned works. For many of our clients we anticipate that our in-depth research, combined with the hazard zoning, has saved them £100,000s in extensive risk mitigation measures. For instance, the commonly recommended pile clearance techniques can cost around £100 per pile. Our detailed desk study & risk assessments prove that in many cases this clearance is not required. There are also significant savings to be made through the reduction of program delays due to the requirements of UXO detection and clearance as an additional phase of works. 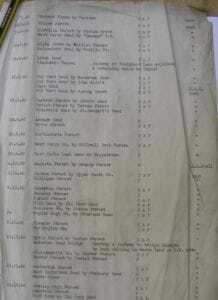 Our records from ‘archives’ are not just background regional data collated as part of a visit to the National Archives a few years ago. 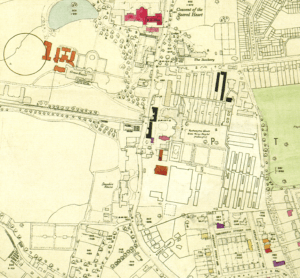 For every study, we will source and visit local & national archives, libraries and local authority offices to get information specific to your site. We don’t rely on the internet or other readily available records as this is usually insufficient to provide a real understanding of the potential UXO hazard on your site. We deliberately seek several sources for the same information in order to corroborate what we know, establishing the level of reliance we can place on the information being used. 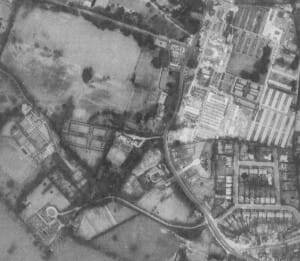 We source a comprehensive set of historical aerial photographs for our review (not just the small selection typically offered by other UXO specialists). We don’t ‘pad out’ our reports with background information. Instead, we clearly highlight site-specific information that you need to concentrate on. This saves you having to wade through pages of information on how bombs work or how many UXBs have been found in Europe since WWII. Our team of researchers has a wide breadth of knowledge with experience in historical research, mapping, geotechnical engineering and the military, covering all the facets required to undertake a thorough risk assessment. The entire team is degree-qualified (some to PhD level). The in-depth research undertaken as part of our assessments allows us a greater confidence to conclude far more low risk sites than other UXO specialists will conclude. Furthermore, without the burden of having to rely on the follow-on UXO surveys for our revenue, we have a reputation for providing professional, objective and pragmatic assessments that are not designed to generate further business.